Two-wheeler manufacturers are eyeing to clock almost 30-35% of their annual sales during the on-going festive season. A good monsoon has pushed the sales of two-wheeler firms, especially in rural markets, during the key Hindu festivals of Navratri and Dussehra. This push is likely to strengthen during Diwali and will continue till the end of this year as the market has recovered from the rollout of GST and demonetisation. “The industry sees around 30-35 per cent growth during this time of the year,” said Sumeet Narang, Vice-President, Marketing, Bajaj Auto. The early onset of the festive season this year has also helped auto firms. This year, both Navratri and Dussehra were celebrated in September, which wasn't the case last year. Honda’s two-wheeler’s retail saw a jump of 50 per cent during Navratri and during Dussehra alone their retail crossed the 1 lakh mark for the first time. The industry as a whole has been seeing a year-on-year growth of close to 10 per cent. “Overall in terms of sales, this whole year (January 2017-December 2017) Piaggio two-wheeler has grown more than double and we are seeing similar numbers for the festive season as well,” said Ashish Yakhmi, Two-Wheeler Head, Piaggio Vehicles Pvt Ltd. The six major players in the category–Hero MotoCorp, HMSI, TVS Motor, Bajaj Auto, Royal Enfield and Suzuki Motorcycles–together recorded total sales of 1,965,383 units in September this year as compared to 92,856 units last year for the same month. This comes as a huge relief for two-wheeler manufacturers who suffered because of the Supreme Court ban on the sales of BS III vehicles. The Supreme Court on March 29 banned the sale and registration of BS-III vehicles or those not compliant with BS-IV emission norms from April 1. The step was taken due to concerns on vehicular emission. The two-wheeler industry is estimated to have incurred a loss of Rs 600 crore due to the three-day discount offered before Supreme Court’s BS-III vehicles ban came into effect on 1 April, an Icra Ltd had said. Increased sales figures during the festive season also means more spend on marketing. Almost 40 per cent of the total annual marketing budget of auto companies is being spent during the on-going festive season. “Of our overall marketing budget, about 40-45 per cent is earmarked for this period. Since, we function in the premium category, we do advertise all year round across the media. Having said that we have done a festive specific TVC around the Diwali theme,” said Yakhmi. Narang also agreed that marketing spends around the festive season has gone up, especially when festive offers are being communicated. “Our campaigns are still television heavy because sales wise we see much of it coming from television. 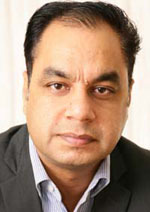 Digital is a good medium for engagement and we do advertise there as well but it is mostly television,” said Narang. According to Yakhmi, the market in India for gear-less two-wheelers (scooters) is growing much rapidly than for motorcycles. “In metros and bigger towns we are seeing a drop in motorcycles in numbers versus last year. At an all India level too, motorcycles are at a stagnant level. Scooters on the other hand are growing,” said Yakhmi. India has also emerged as the largest market for two-wheelers in the world. With total sales adding up to 17.7 million two-wheelers last year, India has overtaken China to become the world’s biggest two-wheeler market.